Hope you're all well. Just some news about new companies and a sneak peek as to what I'll be upto over the next few weeks. I've just discovered Fashion Flirts, which do some really great presents. They make some really fun and glamorous products, that are just gorgeous. They make small and affordable gift sets, which is really helpful when you have no idea what to buy others. 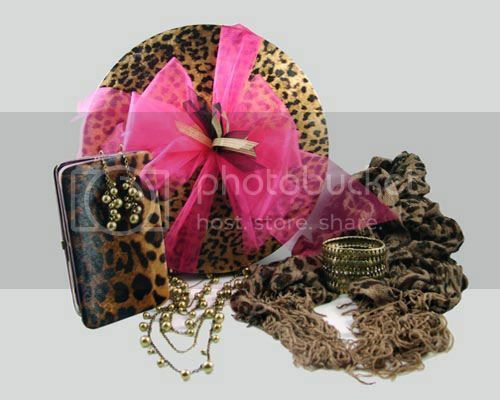 My personal favourite is the Wild Child Set, which contains earrings, a necklace, a bracelet, a leopard print clutcyh and scarf. I'm also due to go to some really fun events over te next few weeks. I'm off to the Asian Bride Show next weekend (don't worry, I'm not the one getting married) and then IMATS the week after. I've never been to the Asian Bride Show before, despite hearing a lot of good things about it. It's happening next weekend (22nd and 23rd), and is the biggest Asian Wedding exhibitions. Now I'm not one to run away from my culture (well, maybe a bit), but a traditional and huge Asian wedding has always been in the cards for me (sometime in the future), so why not start planning early. It's sponsored by Asian Woman Magazine and Asian Bride Magazine, so looks set to be quite a show. Wembley Stadium will be taken over by gorgeous catwalk shows, and there will be plenty of celebrities signing sutographs (Sandeesh from The Apprentice will be there as well). There'll be 4 catwalk shows a day and they look set to really impress visitors with the latest wedding dresses and accessories. There'll be exhibitors showcasing everything from gorgeous colourful wedding dresses, to people doing make up and even henna. Tickets are really affordable, at £10, so if you're around definitely come for it. I predict lots of amazing food, music and colours. 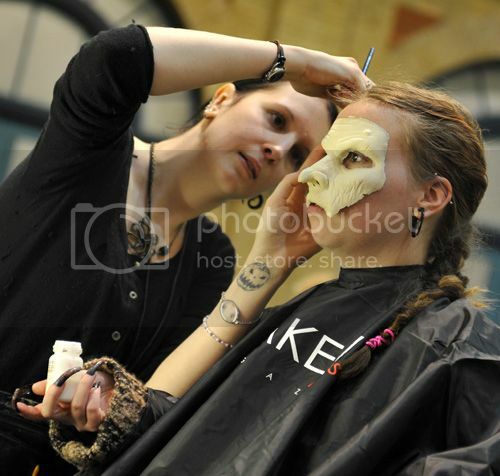 I'm also of to IMATS again this year. I went last year and absolutely loved it! It's taking placeat Alexandra Palace on the 29th and 30th January and as usual, has a huge array of make up artists, brands and speakers. This year's special panel is the make up team from Harry Potter, and they'll be discussing everything Harry Potter. Youtube make up gurus and legends, such as Eve Pearl and Alex Box will all be on hand, giving talks and demostrations. And like last year, the Student Competition will be running, which has a mythological creatures theme and the beauty competition has a tribal theme to it this year. Last years entries were spectacular, so I can't wait to see the competition this year. Kimberlee, from 'I have 'A Degree In This' passed along the Stylish Blogger Award to me: yaaay. Definitely check out her blog if you already haven't! I can't decide who to pass it on as I love so many blogs, so this goes out to all of you, and I want to see 7 things from everyone as well. Finally, there is a cool Wardrobe Swap Party coming up, and it's a VATFree Edition. It's on the 19th February, from 5pm-9pm, at 49 Tufnell Park Road (N7 0PS), in London. It's a perfect opportunity for you to clean up your wardrobe and get some great stuff back and this party will also let you swap books. There'll also be jewellery and beauty products for sale, and eyebrow threading. It's £7.50 if you buy your tickets now, and £10 on the door. Enjoy if you're going! Enjoyed learning a little more about you! :) Looking fwd to your update from the Asian Bridal show! despite not being asian or a bride, that event really intrigues me :) great post! I would love to go to an Asian bridal show!!! So jealous! Love bridal couture, so romantic :). Kiss from Amsterdam! Thanks for the comment you left me on my last post. Everyone did a good job of putting a smile on my face =) my hair looks much nicer in real life haha! Aww IMATs sounds amazing, I've wanted to go for years but it's all the way in Cali in the states. Have fun! and good luck with the job search. Ohhhhhh, you're so lucky! I'm dying to have a wardrobe swap party! I have worked on a campaign before too ~ so awesome! 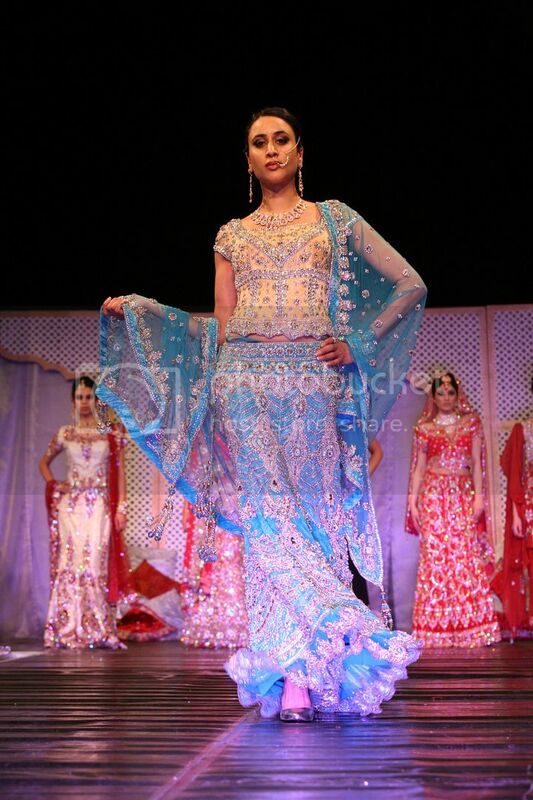 Ooh there was an Asian catwalk at the Birmingham Clothes Show when I went last year and that was so much fun! Wouldn't mind going to an Asian Bride Show but perhaps only when a close family relative was getting married! Oh wow congrats on your award and I hope you enjoy your time off until you get a new gig!! & congrats on your award! I don't know if this helps - but here's my tip on chocolate & trying to eat less of it...! I eat York peppermint patties - the miniatures. They're only 60 calories. It usually does the trick! that asian event looks like fun, the outfits are so bright and colorful! good for you for getting out there and enjoying the shows and congrats on the award! Loved reading the random facts. Music means sooo much to me. It gives me strength to get up and do stuff. Hope you had fun at the Asian Bride Show this weekend?